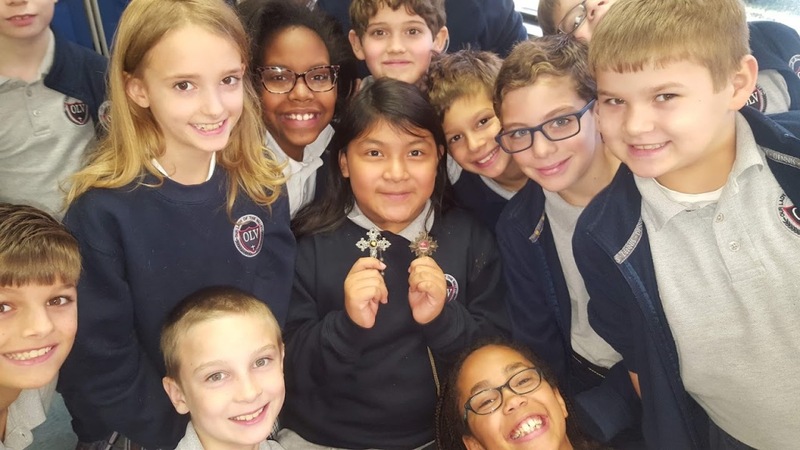 Promoting faith in God through Catholic values creates an atmosphere that encourages students to develop positive moral relationships and respect for themselves and others. A structured and safe environment provides a positive atmosphere that promotes student learning. Parents are the primary educators of children and school-family partnerships are essential for the total development of a child. The education of a child is a shared responsibility among the student, family, school, church, and community. Promoting an acceptance of diversity and individuality encourages students to become moral and independent thinkers. Teaching a curriculum that includes problem solving, critical thinking, and cooperative learning, while fostering moral development, prepares students to become productive members of society. Focusing on shared mission, vision, goals, and actions improves student performance. School leaders engage in best practices that support the ongoing improvement of teaching and student achievement. A learning environment with high expectations infused with the Gospel message of Jesus inspires students to reach their potential. Students have the opportunity to learn and succeed when provided with a strong academic program that recognizes the spiritual, physical, social, emotional, and intellectual needs of each child. The total development of a child includes activities that promote physical, social, and emotional well being. Exposure to the arts contributes to the development of a well-rounded individual. A variety of extracurricular activities enables students to explore their interests and abilities. Students learn best when they are engaged in the learning process and provided with instructional methods and activities that accommodate various learning styles. Motivation to learn is influenced by a student’s emotional state, beliefs, interests, and goals when supported by teacher advocates. A successful student sets learning goals and monitors progress in achieving them. A variety of assessments offer students the opportunity to demonstrate their achievements. A successful student links new information with existing knowledge in a meaningful way. Use of technology allows students to research, collaborate, create, present, and network in meaningful ways. Collaboration with students and adults enriches education. Participation in service to family, parish, and community allows students to live their faith and develop an awareness of their responsibility for justice and equality.